Music is played as the Groom enters the wedding venue escorted by his father and the father of the Bride during this Indian Wedding ceremony at the DoubleTree by Hilton in Fremont. Later in the South Asian wedding ceremony the bride and groom sit on the swing or Oonjal and slowly swing back and forth to represent the ups and downs of life while the ladies around sing songs that praise the couple. 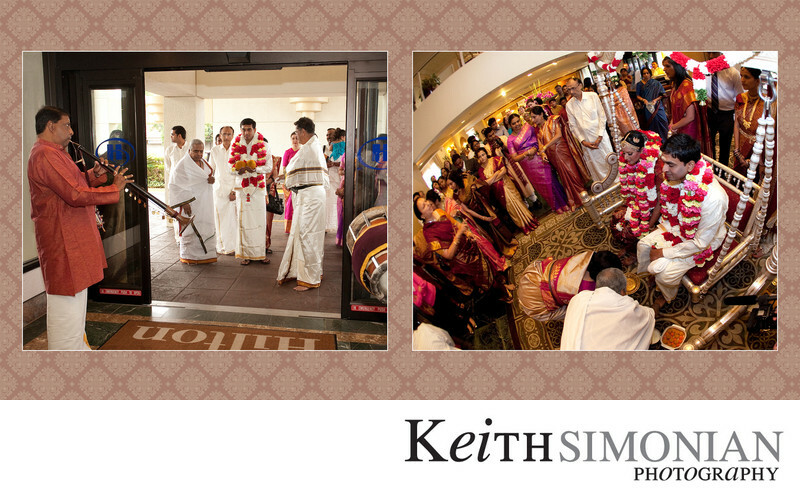 The swing ceremony can be something of a challenge to photograph as all the guests crowd around the swing leaving very little space to capture the emotions of the bride and groom during these moments of the South Asian wedding ceremony.